I had to to resort to curling irons when I go out to mask the dried out ends and to give some life to my seemingly lifeless hair which in turn only made things worse and dried out my strands even more despite using a heat protect spray. 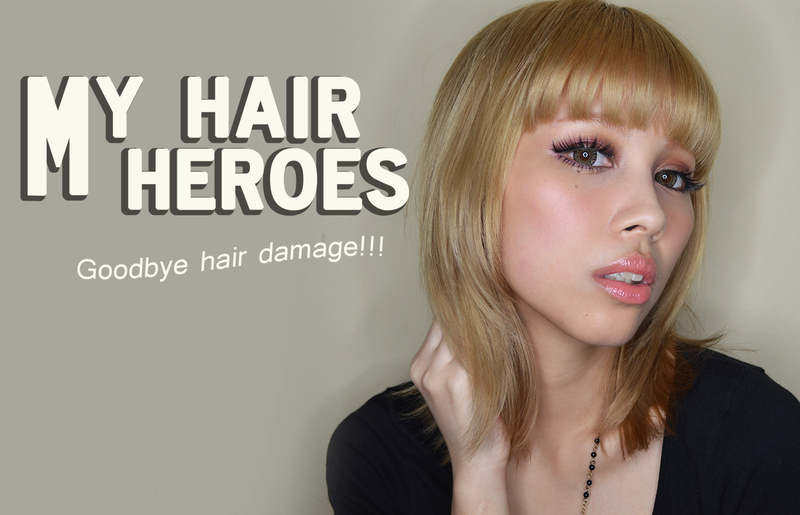 Want to know how I revived my dull and damaged strands? Aside from getting some trimming done, I did it with these products! Benefit: Gently cleanses hair and scalp and keeps long-lasting colour with 100% colour shine. Application: Work into wet hair and rinse out. This does not lather up as most shampoos but it maintained my ash tone for a really long time. Benefit: BC Color Freeze Thermo-Protect Cream provides optimal nutrition for coloured hair, even after use of extreme heat styling devices. 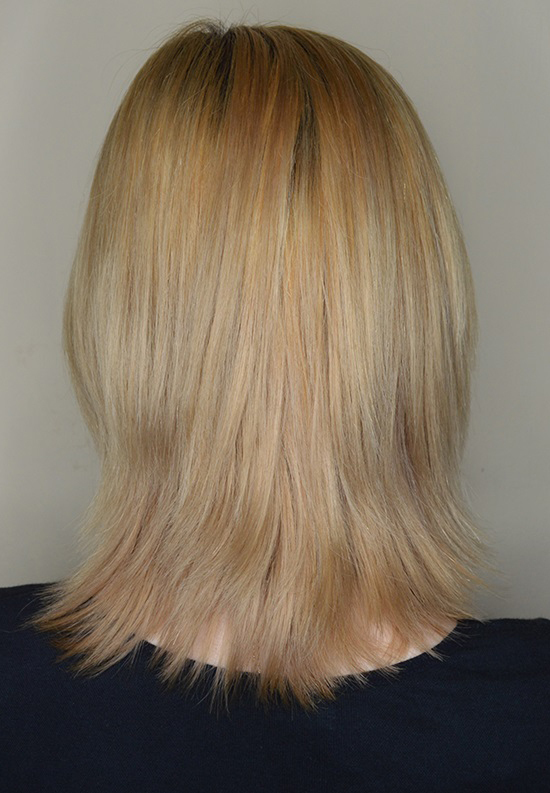 Application: apply onto towel-dried hair before using heat-styling tools. Do not rinse. I use this a lot when I need to curl/style my hair using my curling iron (I only use it at 130 degree setting and not more than that, it is always best to use a curling iron with temperature control to minimize hair damage) and it's doing a really decent job so far. My hair looks "normal" and healthy. 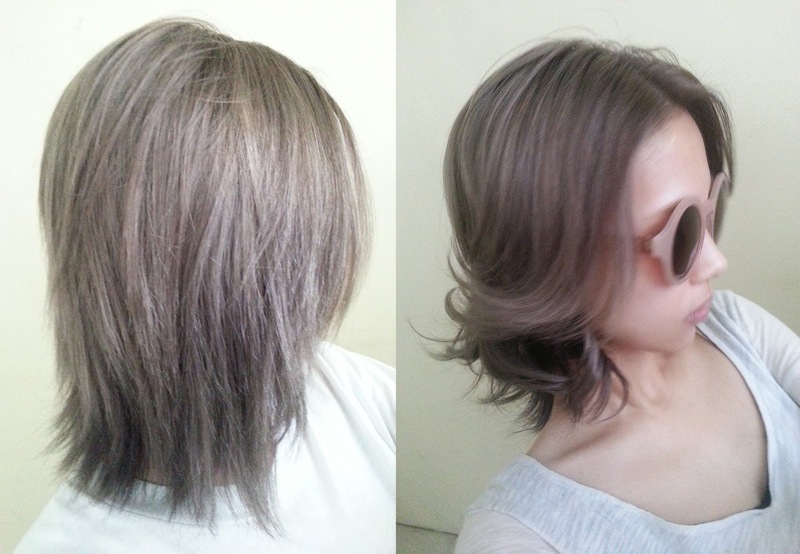 No dried out/sotanghon strands. This lathers up more than the BC Color Freeze shampoo and I use this when my hair is extra oily/greasy. Just as taking vitamins in the morning makes you healthier, vitamins on your hair makes it healthier too! This conditioner contains a host of good-for-your-hair natural and organic ingredients, like pure naturally derived keratin, exotic oils, and virtually every vitamin you can imagine (A, E, D, Omega 3 and 6, and all the B’s), so your hair LOOKS as good as it FEELS (or is that the other way around?) It also resists environmental damage, increases elasticity (to reduce breakage) and rebuilds the hair. Great for color-treated and keratin treated hair. This is my most favorite product among the bunch. This makes my hair so silky soft, smooth and manageable like no other conditioners and hair masks I've tried. This is a must try! Color services, blowdrying, hair-breaking brushing, the sun and hard water are just a few everyday stressors that wreak havoc on hair. Keratherapy’s Keratin Infused Deep Conditioning Masque is an intense conditioning treatment specifically formulated to reconstruct, repair, hydrate, strengthen and smooth hair. The result: dramatically shiny, silky, strong, luscious hair that can withstand whatever the harsh environment – or you – throw its way. I don't use them all at the same time ok :))) I usually go for the BC shampoo and the Keratin Conditioner combo for a week then I do the Keratin Moisture Shampoo and Conditioner combo the following week then I do the mask whenever I have the time. If you have dry/severely damaged strands then it might be time to consider treating your locks to any of these products! ;) I highly recommend them and will purchase them again once I run out!